In the Vol. 10, No. 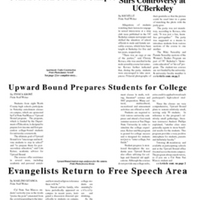 4 edition of The Pride, are articles about Upward Bound, sexuality classes at UC-Berkeley, the construction of apartments close to campus, and the return of evangelists to the campus free speech area in Founders Plaza. The Vol. 3, No. 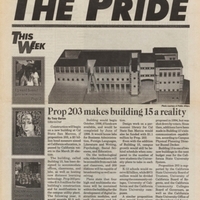 8 issue of The Pride discusses the benefits of passing proposition 203 for the CSUSM campus. Vol. 2, No. 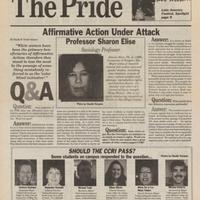 8 of The Pride has a cover story Q & A with Sociology professor Sharon Elise about affirmative action and the proposed California Civil Rights Initiative. 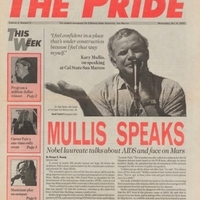 Only issue published during the Spring 1995 semester. Vol. 2, No. 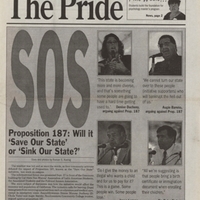 3 of The Pride explores the two sides of Proposition 187. 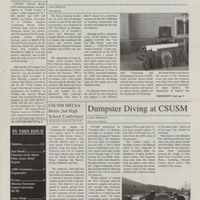 The psychology graduate program begins at CSUSM.